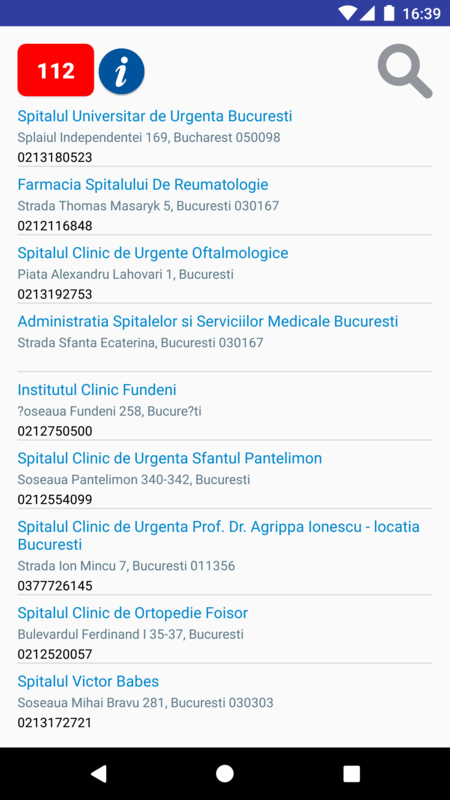 Bucharest Hospitals is an useful Android App. Check what you can do with this app! This is a free app! You can use it for free! 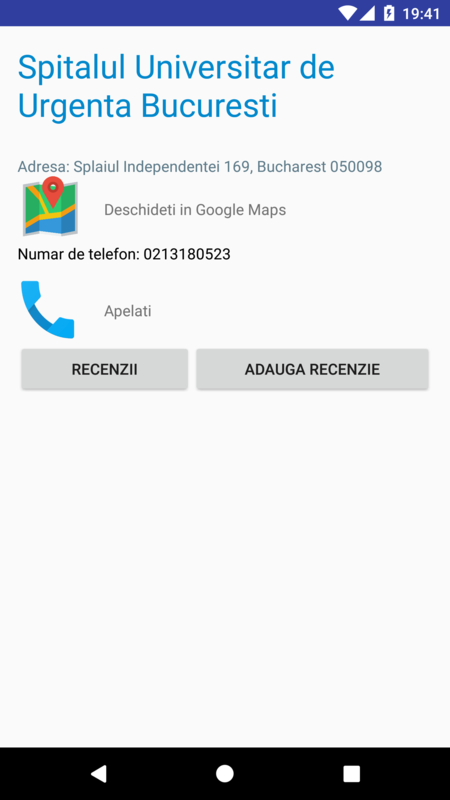 You can search hospitals using the app search engine, by departments, or affection, for example, if you eyes hurt, you can search "oftalmology" in this app and it will show all the hospitals that contains the specified department. Yes, you can also add reviews to all the hospitals. You can also try the web app by clicking here. This app is very useful. It's a must-have. © 2017 Talnaci Alexandru. All Rights Reserved.